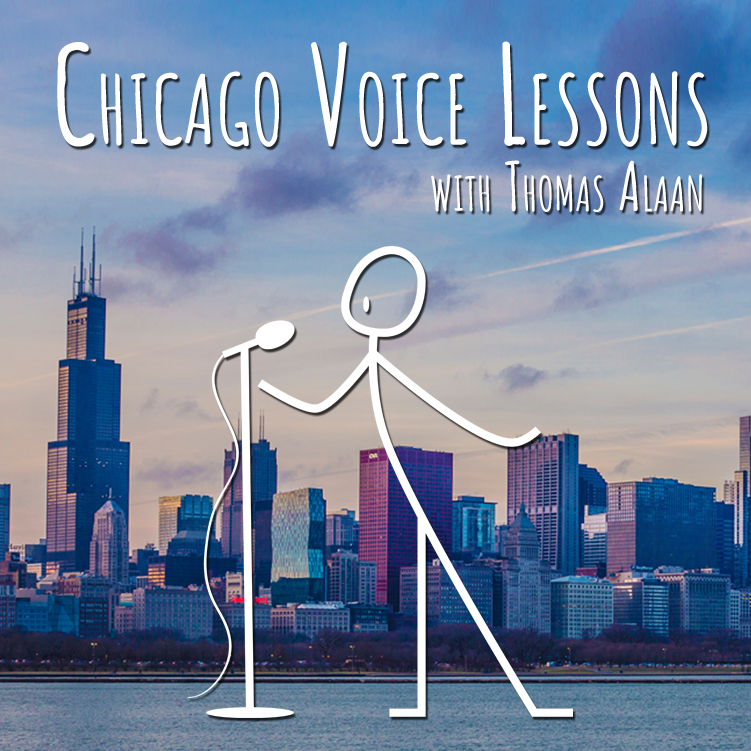 Are you looking for voice lessons in Chicago? I'd love to work with you. Before we talk about singing, let's talk about music. You already know what music is through experience. If you listen to a Beyonce song, you know there is 1) a start to the song, 2) an end to the song, and 3) a lot of organized sounds sandwiched between the two. Music is sound organized over a defined period of time. We organize those sounds using things we can measure like pitch, rhythm, and duration. So how does singing relate to music? Singing is a tool to communicate a story or emotion using the sounds of human speech - vowels and consonants - in combination with measurable musical elements. Singing has been around since before we started writing down history. We don't know how or when people started singing. The practice may have originated as the calls/screams/shouts of our ancestors communicating across forests and jungles. Eventually, those calls evolved in complexity and they took on special roles in religious ceremonies or for entertainment. But honestly, all of that is conjecture. We have no idea. Here are some really cool videos of some of the oldest music of which we know. You don't have to know anything about these in order to sing - but they're pretty freakin' cool if you want to nerd out. If you have some time, check out this awesome video featuring one of my mentors, Sheri Greenawald, as she discusses what a singer does and how they do it. She does a fabulous job describing what it means to create a "sustained scream." Also, she's a hoot! Singing is a skill. A voice lesson is a one-on-one session with a professional teacher where you explore and develop that skill. As you learn to sing, you learn to make choices about what kinds of sounds you make and how you make them. There is no 'wrong' or 'bad' way to sing, but some choices are healthier and make more efficient use of your body. Healthier choices give you a longer, healthier singing life! We all come to lessons with different goals. My goal is to help you develop your skill and make healthier choices. Singing is a skill everyone can learn. If you want to become the world's next opera or pop star or just sing better in the shower, to learn to match pitch or expand your range, to master stage fright or learn to sing specific styles, then voice lessons can help you reach your goal. The most successful singers are those who have the drive to learn and who put in the practice time between lessons. Lessons are one-on-one sessions with a teacher. In this case, that would be me. They last between 30-minutes and 1-hour. During that time, we work on developing your singing skill two ways: "how to sing" (technique) and "what to sing" (repertoire). Adult lessons can last 30-, 45-, or 60-minutes. It's totally negotiable what we do during these lessons, and it can vary from session to session. Teens experiencing their voice change should take 30- or 45-minute sessions. We'll focus on healthy singing habits and get comfortable with the voice as it grows. We'll select repertoire that's appropriate to accommodate the singer and their changing voice. For teens with 'settled' voices, we can do lessons that last 30-, 45-, or 60-minutes. Like adult lessons, we'll focus on developing technique and learning repertoire. For those who are interested, we'll prepare for auditions, performances, and competitions. I encourage high school students to participate in solo and ensemble festivals, and private competitions like the Classical Singer Vocal Competition and the National Association of Teachers of Singing (NATS) competition. I don't take many children singers, but I am open to doing so. Lessons for kids (pre-pubescent) are no more than 30-minutes and focus on developing music skills (rhythm, pitch matching, and music reading skills), breathing and posture, and learning simple songs (folk songs, spirituals, etc.). Parents, please note that voice building at this age is not developmentally appropriate. For more info about the dangers of voice building and opera singing in children, please read Dr. Glenn Winters' article, 'About those child opera singers: here's the deal.' If you want to develop your child into the next opera star, Josh Groban, or Miley Cyrus, I am not the teacher for your child. How often do people take lessons? Typically, lessons are every week or every other week, but we can make other arrangements depending on what works for your time and budget. Why should I study with you? I grew up in a family of educators. My mom and dad both taught in elementary school for most of their careers which meant I was always around teachers. Teaching just runs through my veins. I love working with people from all backgrounds and skill levels and helping them realize their potential and reach their goals. I earned my BA Music Education in 2005 and received certification in choral, instrumental, and general music (pre-K through 12th grade). I'm currently pursuing my DMA Vocal Performance at the University of Wisconsin - Madison with Jim Doing, one of the developers of Voce Vista. At UW-Madison, my research will focus on the development of Scottish folk song in the 18th century through the music of Beethoven. I've studied voice for 17 years and I still take lessons because I know there's so much more to learn. I started teaching privately in Dallas from 2005-2009. There, I worked with about 55 students from local high schools and with music majors at Brookhaven College. In 2009, I moved to Chicago and began conducting mixed and women's choirs at Holy Name Cathedral. I still conduct at the cathedral today, and I've started teaching again our of my home studio in Humboldt Park. I've given talks on arts entrepreneurship and voice/vocal pedagogy at the University of Illinois at Chicago, the Illinois Institute of Technology, and for the Helena Music Teachers Association, and I've judged for the National Association of Teachers of Singing (NATS). I'm a member of NATS and the American Choral Directors Association (ACDA). What styles do you teach? I specialize in Western classical singing. Most people think of this as "opera," but classical music is really much more than that. I perform a lot of early music, especially music from the British Isles and the works of Handel and Bach. I also have some experience in folk singing, and I've helped students prepare for competitions, auditions, and performances in classical, musical theater, and jazz styles. My goal is to help you achieve your goals. Many concepts in singing - breathing, posture, expression - are important in every genre, so we can work on whatever interests you. Alright, I'm in. What do I do? Check out my rates, studio, and student recommendations, and then we can schedule a lesson.